At the age of nine, Lara survived a plane crash in the Himalayan mountains that resulted in the death of her mother. After miraculously surviving a ten-day solo trek from the crash site to Katmandu, she spent the rest of her childhood under the close tutelage of her Archeologist father - the late Earl of Abbingdon, Richard Croft. At the age of eighteen, after the death of her father, Lara inherited the Croft estates and became Countess of Abbingdon. Since then she has been credited with the discovery of some sixteen archeological sites of international significance. She has been halled both as an Archaeological Wunderkind and a glorified Treasure Hunter, depending on whom you listen to. There are thousands of rumors surrounding Lady Croft's exploits, invariably involving the unexplained or outright unbelievable. Lady Croft herself is, unfortunately, never available for comment, which further adds to the veil of mystery that surrounds her life and work. Consequently, Lady Croft continues to be the focus of wild speculation and intense debate. Idealized and vilified in equal measure, she is perhaps one of the most fascinating and enigmatic figures of our times. On the outside, Amanda Evert was a graduate student of social anthropology; on the inside, she was an intense chronicler of the metaphysical. She believed wholeheartedly that the common notion of reality is nothing but a thin, drab layer pulled over the infinite truth of the soul. She studied every religious and mystical system in the world, past and present, and while still at university was already something of an expert on theology and mysticism. She had a pet theory that fragments of a single, long forgotten mystical belief system exist within the rites and rituals of shamanism, witchcraft and many religions. Her dream was to rediscover this supreme knowledge from the past and teach it to people so they could gain spiritual enlightenment. At the time it seemed more like a youthful dalliance than a true obsession; something Lara considered harmless. She was undoubtedly comfortable with exploring beyond the boundaries of scientific inquiry, but she was also a brilliant researcher who was still in touch with the modern world. She was young, a bit bookish, not too self-confident, and a bit of a hippy. Her relationship with Lara is typified by playful philosophical banter; they disagreed, but they crossed intellectual swords without becoming exasperated or angry at the others' firm viewpoint. Then one day in Peru, while excavating a tomb Lara believed contained the last queen of Tiwanaku, her team of graduate students breeched a new room and all hell broke loose. Lara was the only one to return to the surface, where the team's structural engineer, Anaya Imanu, listened in horror to Lara's story of how a malevolent entity of some kind slaughtered everyone in the tomb, except for Lara and Amanda. But as the two tried to escape, Amanda set off a trap that sealed the room, brought down the roof, and drowned Amanda. Zip is the tech guy of Lara's team, responsible for providing technical and logistical support for Lara's endeavors worldwide - he's the guy in the van or the server room at Lara's mansion, and Lara's constant remote companion via radio headset. A wisecracking guy who's part ultra-techno-geek and part street savvy. He used to be over-the-top, but a few years in prison toned down a notch and increased his resentment toward all things establishment. 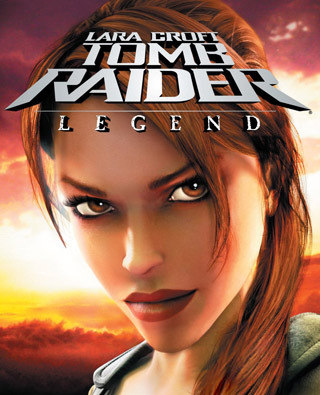 A former computer hacker, he works with Lara for the challenge and the thrill of it. He's personally loyal to Lara, and it really is the most fun he can have without getting arrested. Alister is Lara's research assistant, providing another mind filled with arcane historical information, someone to bounce ideas off of, and provide quick additional research while Lara's in the field. He's in this to test his theories, uncover secrets no one else can, and because it's the only place his eccentric knowledge is really useful. Alister is tense and prickly, and takes himself much too seriously. Anaya is a civil engineer working in improverished areas of South America. She's an old friend of Lara's dating back to their days at university, and she was with Lara during the tragedy near Segou. She has since led a distinguished career of her own, routinely crossing paths with Lara. Lara's butler, and he has served the Crofts for most of his life. He's calm, sophisticated, unflappable, and knows more about Lara and her doings than anyone. He worries about her but he knows how capable she is, and he does nothing to dissuade her from her life's pursuit, and indeed he's just as willing to fetch 9mm ammunition as he is to set out tea service, and he will even toss a few spare ammo clips into her bag without her asking. James Rutland Jr. grew up in a bubble of enormous wealth and privelege. He went to West Point and managed to draguate on his own merits, barely. As hard as it was he's glad for it, because it gave him a sense of self-discipline and strength that he finds useful now that he's free of the military. He's a charismatic man accustomed to getting whatever he wants; however, this time the object of his desire is also sought by Lara Croft. Shogo Takamoto is a Yakuza Kamicho (boss) who loves ancient weapons. In addition to being a powerful figure in the Japanese mob, he also became a fixture in the antiquities undergroud, frustrating collectors and adventures alike by mixing forgeries with authentic items. Despire his untrustworthy reputation, he continues to be a player due to his ability to ferret out what people really want and dangle it before them, such that their desires overpower their better judgement. His most recent encounter with Lara left a very bad taste in his mouth, but he has been unwilling to risk seeking revenge, because the likely failure of the attempt would mean an enormous loss of face. Toru Nishimura was once a daring investigative reporter who has crossed paths with Lara more than once on dangerous investigations. He's now a wealthy mogul, good-humoured and comfortable, but he stil has a taste for adventure and risk, and he is always glad to see Lara whenever her latest adventure brings her to town. He's a little more cautious now, though - he's got responsibilities and obligations, some of them a bit unsavory - and as such, he needs to have good relations with the Japanese mafia.